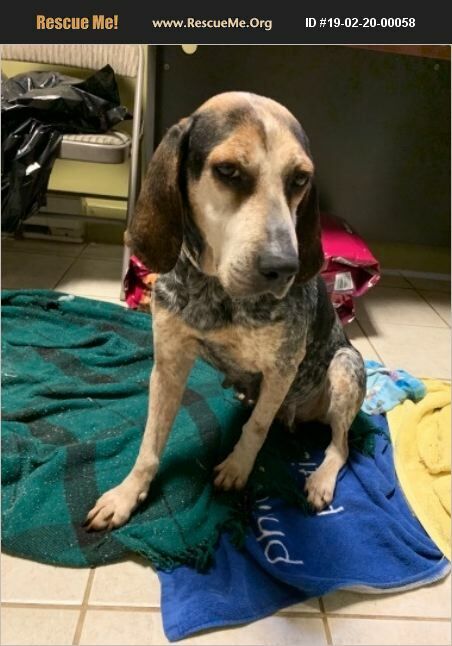 New Jersey Bluetick Coonhound Rescue View other Bluetick Coonhounds for adoption. Marnie is 5 years young. She is about 40lbs. She is so humble and loving. She is affectionate, calm and gentle. She was thrown out of her house because she wouldn't hunt anymore. According to the previous owner she was never good at hunting but would stay with her pack- lately she would stay inside and not go. She is great with other dogs, gentle with cats and loves children. If you're looking for a calm, sweet dog- this is your girl! She is trained and fully vetted. Please help Marnie - she needs you.